You might have already caught this on Instagram, but I’m so happy to share that my Graine Fingerless Mitts knitting pattern is finally here! It’s actually been out for a couple of months now (ahem), but I’ve just realised that I never hit publish on the blog post. Better late than never, right? 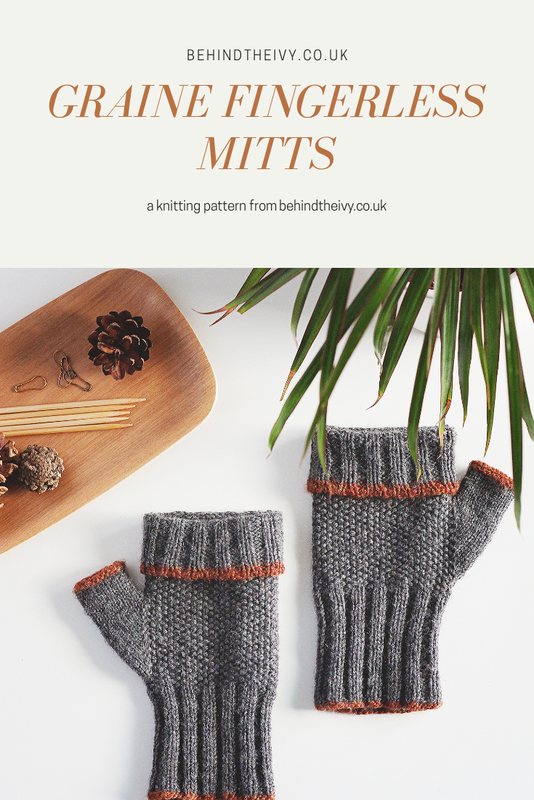 It feels like a world away in this current summer heatwave, but these mitts were inspired by the snowy walks that Graeme and I took last winter. When your breath fogs up the cold air and your feet are crunching over the frosty grass, these woolly fingerless mitts are perfect for keeping your fingers toasty and warm. They’re a classic design; long cuffs to stop the cold north wind from sneaking up your sleeves, and seed stitch on the back of the hand for some gorgeous, simple texture. I just love the way that seed stitch looks! Don’t you? The cuffs around the fingers are extra long so you can pull them down when the cold starts to bite at your fingertips, or fold the ribbing back if you need some extra movement. 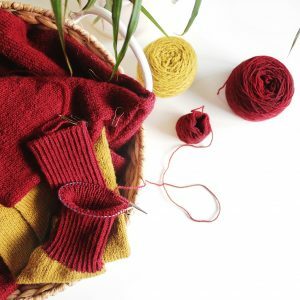 They’re pretty uncomplicated, but techniques such as the 2×2 tubular bind off keep things interesting for seasoned knitters, or for beginners wanting to stretch their knitterly wings and try something new. A flash of contrasting colour around the edges adds a bit of visual interest, and is perfect for using up scraps of yarn! Or stick with a single colour if you prefer a more monochrome look. The Graine fingerless mitts are quick to work up, and the straightforward construction makes them an ideal portable project. They’re perfect if you want to get a head start on your autumn/winter knitting! 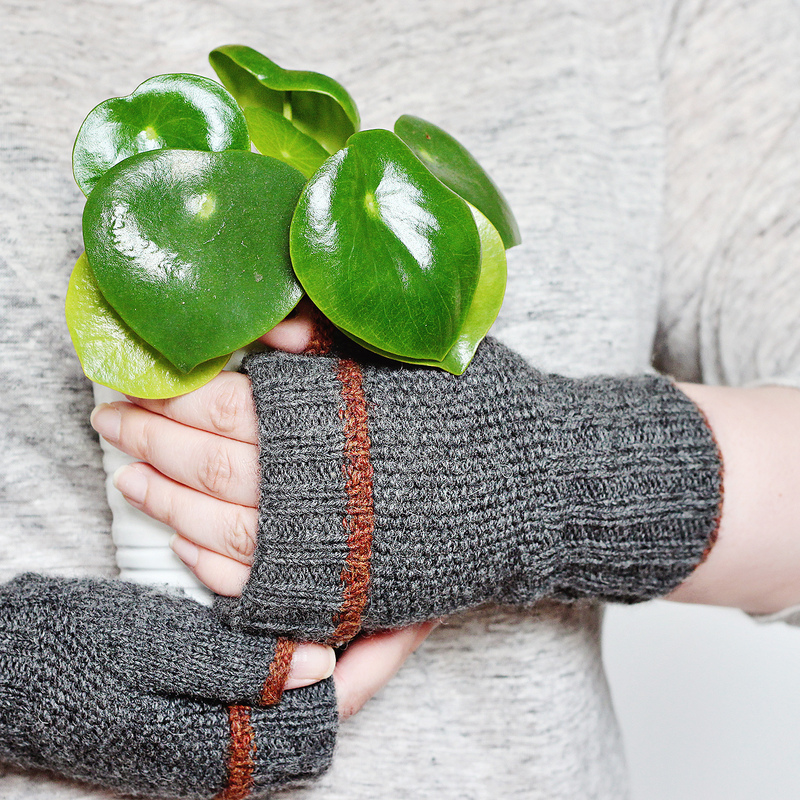 You can find the Graine Fingerless Mitts pattern on Ravelry and on LoveKnitting. Happy knitting!